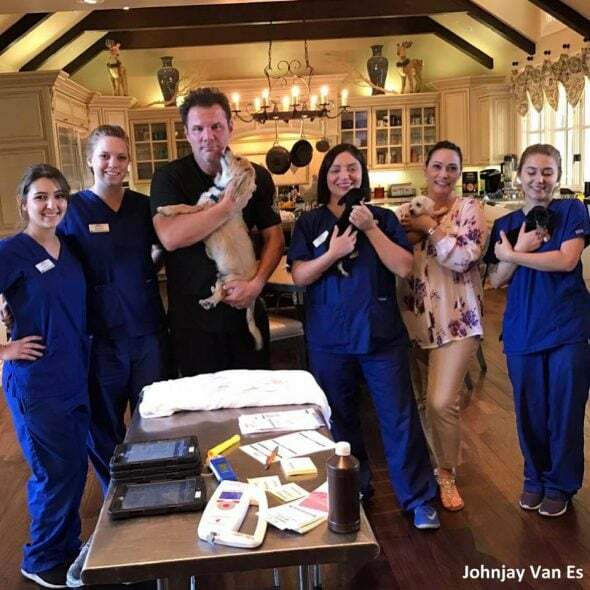 Johnjay Van Es, a nationally syndicated radio host, uses his celebrity for a good cause: he and his family take in stray dogs from all over the Phoenix area and give them the love and care they need before finding them forever homes. In just the past couple of years, they’ve adopted out over 500! 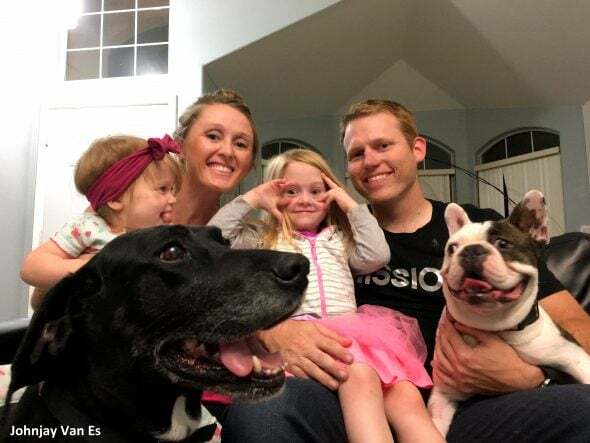 Van Es is a host for KISS FM’s Johnjay and Rich Morning Show, but his free time is devoted to running a rescue group out of his home along with his wife, Blake, and their three sons, Jake, Kemp, and Dutch. 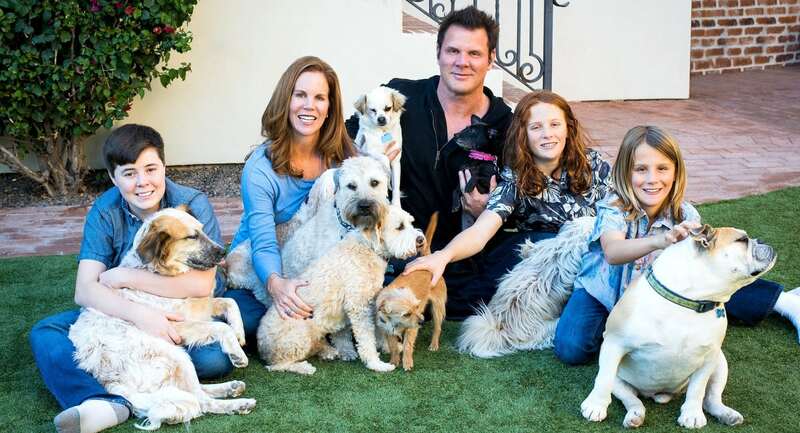 “Rescuing dogs is something my wife and I have done pretty much our whole marriage,” he told PEOPLE. He created the foundation #LovePup in 2015 after finding a Chihuahua that had been abandoned. He posted a photo of it on Instagram, hoping one of his followers would give it a loving home. “So the next morning I went on the air to share that I had found a home for the dog, and the next thing you know I had all these people reaching out to me saying, ‘I found this stray dog,’ or ‘I’m moving and can’t take my dog,’ before you know it, I had all of these dogs,” he said. Cookie in the Hyperbaric Chamber at Scottsdale Veterinary Clinic. So precious Dr Greenwood looking at her. Donate to #LovePup – lovepup JjR.com link in my bio ?❤️? 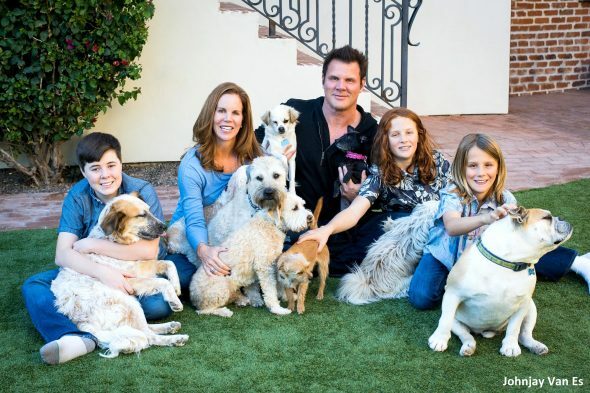 Since creating the rescue network, the Van Eses have saved and rehomed over 500 dogs, receiving support from celebrities like Selena Gomez, Enrique Iglesias, and Zedd. This was VERY FREAKING COOL! #Zedd was in town today, he had heard about the puppies that were left in a box on the side of the road and wanted to meet them and thought maybe he could get the word out about them! Check out some pics of @zedd and me hanging in his hotel room playing with the #LOVEPUP puppies!! – BTW he has the number one song in the world right now with Alessia Cara #STAY – All puppies are now healthy and ready for new homes and Zedd is helping Spread the word! #Hangingwithmydogs – wait till you see the cool interview!!! ?❤️? He knows that social media has the power to do good in the world, and that’s how he’s been able to help so many dogs find homes. He says that much of the inspiration for doing what he does is his sons. He hopes that #LovePup will gain even more momentum so more dogs can be saved. Arlo chillin, yo, laid back, giving me a hi five dawg! What up? He says. Bahahahha! I told you yesterday, he’s a day or so away from talking! Look at that face!!! #LOVEPUP #nationalpuppyday #nationaldogday #nationalpetday #dog #dogsofinstaworld #rescuedogsofinstagram @thedodo #love #LOVEUP ?❤️?